YGM Group develops apparel retail and wholesale business and distributes a wide range of men's and ladies' wear for many world renowned brands: Michel René, our own brand, Guy Laroche of Paris, Ashworth, Tommy Bahama and Black Clover of the U.S.A., J.Lindeberg from Stockholm, Harmont & Blaine and Save My Bag from Italy. Dr. Chan Sui Kau, GBM, GBS, OBE, JP, was a renowned Hong Kong industrialist, philanthropist and founder of Yangtzekiang Garment Limited and YGM Trading Limited. He was a great contributor to Hong Kong’s garment and textile industry and the economy as a whole. He devoted himself to Hong Kong in many ways, most notably in the garment industry, labour protection and youth education and development. Mr. Chan was born in Guangzhou in 1926 and had seven brothers and sisters. During the turbulent years, Dr. Chan and his family sojourned between Canton, Macau and Hong Kong. In 1941, Japan invaded Hong Kong and so the Chan family fled from Hong Kong to Macau. At the age of 16, Mr. Chan stopped schooling and began on his journey in the trading business; and the family resettled in Hong Kong after the war. In 1949, at the age of 23, Mr. Chan founded Yangtzekiang Garment Manufacturing Company. He established the company with his two brothers, but unfortunately his brothers died young and left him to support the entire family on his own. Mr. Chan grew with Hong Kong; he witnessed the Hong Kong 1967 Riots, was involved in textile quota conferences, labour negotiations and experienced the Sino-British talks, tackled issues relating to Hong Kong’s future and economic transformation, and went through numerous economic and financial crises and SARS. Mr. Chan remained fearless, and with integrity and a big heart he led the garment manufacturing industry through numerous difficulties and turned them into opportunities. In 1969, Yangtzekiang Garment Manufacturing Company became a publicly listed company in Hong Kong. In 1979, economic reform began in China and Mr. Chan was one of the first to lead groups to collaborate with the state-owned enterprises, and ‘Wuxi Cotton Factory’ was set up as China’s first Sino-foreign joint venture. The factory continues to run strongly, domestically as well as internationally. 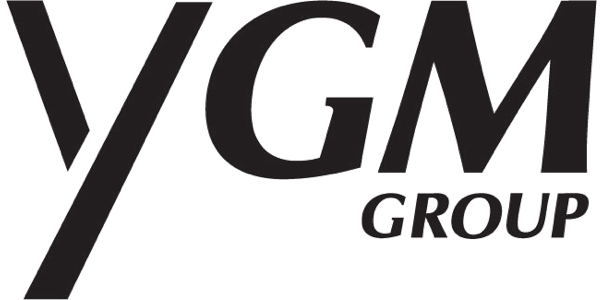 In 1987, YGM Trading Limited was spun off from Yangtzekiang Garment Limited and became a separately-listed public company. Its main business is in garment wholesaling and retailing with its own brands as well as licensed international brands. YGM Group has grown from a single factory into a diversified group in the garment industry, providing services that cover all stages of garment manufacturing and gaining considerable reputation both in Hong Kong and internationally. Mr. Chan had six children whom all now have their own families are successful in their own right. Mr. Chan was also able to connect with his great grandchildren. He has created a loving and harmonious family because apart from being dedicated to his work, Mr. Chan also greatly cherished his family, abided by the family creed and valued unity amongst members. For decades Mr. Chan and his late wife, Mrs. Lam Moon Chun, loved and respected each other, setting an example for their descendants. In 2009, they were baptized together in front of family and close friends. His creed: ‘Like a tree, if the roots are strong, the branches can spread widely.’ (「處世樹為模，根穩任從枝上舞」); ‘Like an ancient Chinese coin, there is a square inside with integrity but its perimeter is round for smoothness.’ (「立身錢作樣，內方還要外邊圓」) This creed is set up in ’Yu Qing Garden’ (餘慶小築) in Dongguan, donated by the ‘Chan Family Charitable Trust’ for the family to ponder and follow, in order for the legacy to continue and the roots remembered. YGM Group was founded by Dr. S.K. Chan in 1949 and was listed on the Hong Kong's public stock exchange in 1970. More than 50 years after its inception, YGM Group has grown from a single small garment factory into a global organization with multi-dimensional businesses. The businesses of the group include garments, textiles, wholesaling, retailing and other manufacturing industries. The garment business covers a wide array of products including shirts, blouses, trousers and casual pants, blousons, polo shirts, T-shirts and etc. The headquarters in Hong Kong oversees sales and the overall management of the Group. Branch offices in China are set up in Guangzhou, Shanghai and Beijing. The export business mainly targets European, Japanese and South-East Asian markets. Production plants are located in China and South East Asia. In 1987, YGM Trading Limited was spun off from Yangtzekiang Garment Limited and is now a separately-listed public company based in Hong Kong. The core businesses are wholesaling and retailing. Other businesses include garment manufacturing, property investment and printing. YGM Trading develops apparel retail and wholesale business and distributes a wide range of men's and ladies' wear for many world renowned brands. YGM Trading also licenses and acquires internationally-recognized brands. In May 2012 – Nov 2017, YGM was the global owner of Aquascutum. YGM's extensive retail network consists of around 100 retail outlets throughout Hong Kong, Macau, China, Taiwan, South-east Asia, and Europe. We have been actively developing the Greater China market for more than couple of years. We have established retail outlets in major cities such as Beijing, Shanghai and Guangzhou, while simultaneously expanding the network to many secondary and tertiary cities. Our development in China is reflected in the mass retail coverage. We now are operating over 50 outlets in China with the expectation to grow further in the core and developing cities. YGM Trading develops apparel retail and wholesale business and distributes a wide range of men's and ladies' wear for many world renowned brands: Michel René, our own brand, Guy Laroche of Paris, Ashworth, Tommy Bahama and Black Clover of the U.S.A., J.Lindeberg from Stockholm, Harmont & Blaine and Save My Bag from Italy. YGM Trading's extensive retail network consists of over 320 retail outlets throughout Hong Kong, Macau, China, Taiwan, South-east Asia, and Europe. We have been actively developing the Greater China market for more than couple of years. We have established retail outlets in major cities such as Beijing, Shanghai and Guangzhou, while simultaneously expanding the network to many secondary and tertiary cities. Our development in China is reflected in the mass retail coverage. We now are operating over 200 outlets in China with the expectation to grow further in the core and developing cities. YGM Trading develops apparel retail and wholesale business and distributes a wide range of men's and ladies' wear for many world renowned brands: Michel René, our own brand, Guy Laroche of Paris, Ashworth and Tommy Bahama of the U.S.A., J.Lindeberg from Stockholm and Harmont & Blaine from Italy.